The Puffin Book of Bedtime Stories is out, and I have two short kid poems in it. Got to see it today; it’s really well illustrated and looks great. 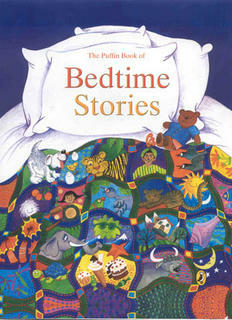 Buy it if there’s a kid around you want to read stories to. Vandana Singh’s opening story is really nice. and now you’re deleting comments too. my my, what interesting invectives you must be reading. or was it just a spambot? dude, is it good for insomniacs? will it put me to sleep? This book rocks my world. I recommend it with both my hands. But who is this Heyfrog dude?